New Zealand, which has recently been officially declared the eighth continent and named Zealandia, is a Wonderful place to visit. 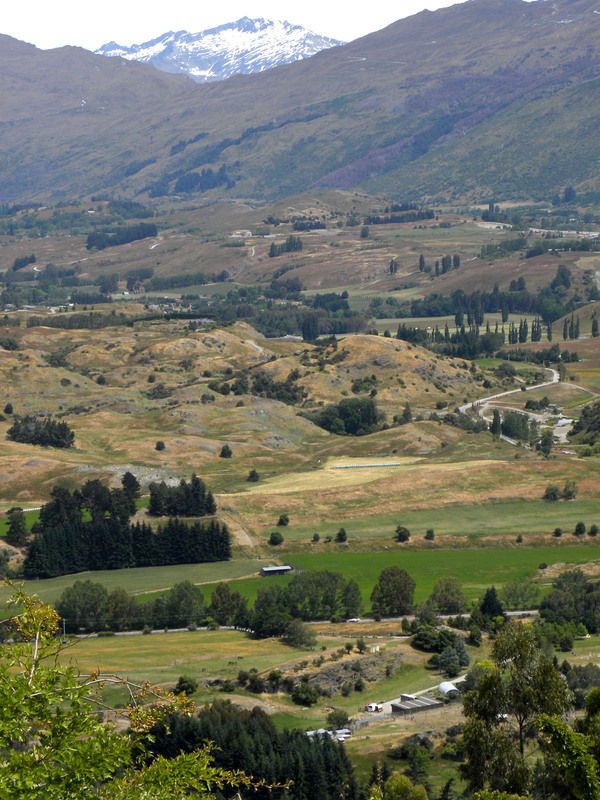 With a population of about four million, half of whom live in the capital city of Auckland, the countryside drives and villages and towns throughout North and South Islands are like none in other countries because the roads are well paved and maintained but most of the way are narrow two-lanes, with one “S” curve after another, and no shoulder. The most memorable highways are banked on one side by a cliff towering above you and on the other side by the ocean below you! Other highways are through beautiful pastoral scenes of grassy rolling hills dotted with thousands and thousands of sheep. We saw beautiful small farms with people plowing, planting, and harvesting various crops. The air is so pure and crystalline clear that the colors in all your surroundings appear more beautifully brilliant and true. Lakes and rivers abound in this bottom of the world continent and the water is as pure as the air, not yet contaminated by huge populations. Yet the country is modern with all the Twenty-First Century conveniences you could want, but also it maintains its rich cultural history of the Maori tribes. A majority of the streets and towns are named in the native tribal language. School children are taught both languages and many tourist places demonstrate the original customs, ways of life, food and dance. You will never lack for things to do and unduplicated vistas of nature to witness. The land is still in its creation infancy and volcanoes and earthquakes are not unexpected, but this adds to the adventure of the unusual landscape. We drove over 3,000 miles to see and do as much as we possibly could in three weeks of January, which is during their summer season below the equator. It was all beautiful and wonderful, welcoming and fun, with super clean hotels and B&B’s, good cars to rent, excellent food and very friendly, welcoming people. However, with the necessity to import many of modern life’s necessities, food and gasoline are expensive. Perhaps the greatest highlight of our trip was with the The Helicopter Line New Zealand when we flew by helicopter to land on a glacier! 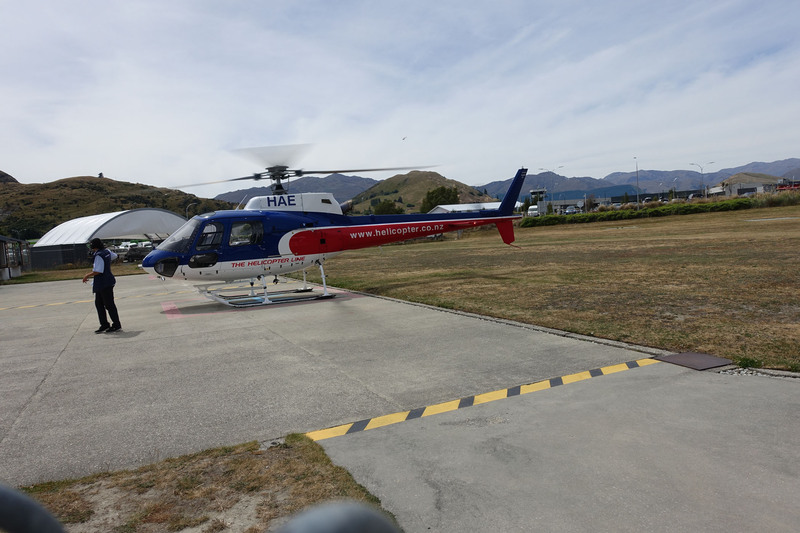 We were journeying through the South Island with the number one choice of things to do was a heli ride. We first tried to fly from the village of Franz Joseph, but the weather did not cooperate. Helicopter Line New Zealand service takes NO CHANCES of danger. They can only confirm trips a half hour before boarding time because the winds and rain during this season are fickle. These ‘copters do fly under dangerous conditions. The company’s helicopters go out in pairs, and each one has well-trained and highly experienced pilots, emergency equipment, and good phone/radio communications with each other and with the control tower below. Our tickets would be good at the next location of this excellent Heli service which for us was Fox Glacier. Again this late spring/early summer weather in the Southern Hemisphere prevented our take-off. We enjoyed hiking to see the glacier from a distance and then journeyed on and stopped at Wanaka to enjoy many fun things to do by the lake. On our third chance for the glacier trip we were treated with a sunny day and little wind. We were elated! At first Bonnie (whose motto is be prepared) packed food, first aid, a change of warm clothes (in case of emergency encampment in a frozen atmosphere thousands of feet above sea level,) binoculars, camera, and who knows what all in her heavy backpack. We didn’t dream we had to weigh-in about an hour before boarding while we were awaiting the final verdict about the weather, which changes almost instantly in the region around glaciers. She was shocked to learn her 20 pound backpack had to be left behind, but also was assured that the pilot already had on board all the items she had thought to bring. Her worries were useless as the pilot even had extra heavy coats for anyone who had arrived in summer clothes. The only items we needed besides proper clothing and shoes were sunglasses and camera. 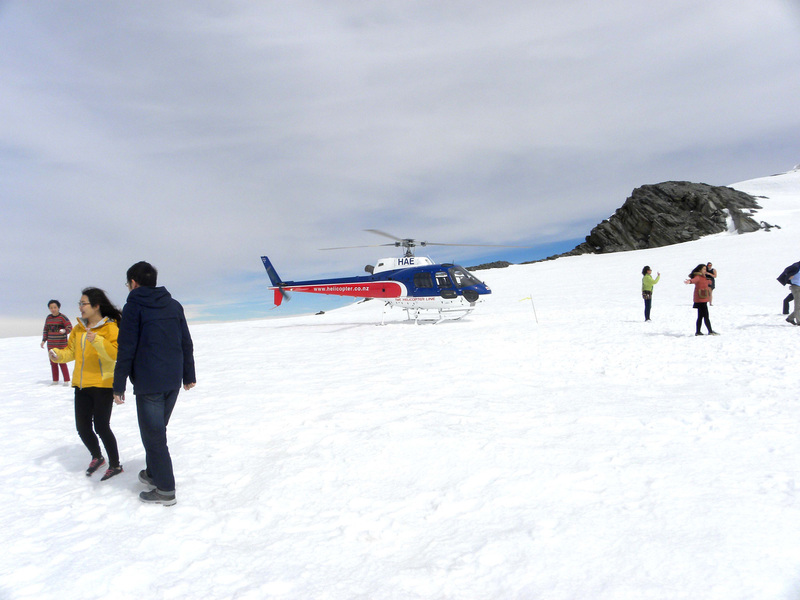 People from many countries were awaiting previously booked ‘copter rides and we piled in with five young people from Korea and our excellent pilot Peter, who makes this helicopter trip about 14 times each day when weather permits. Everyone was so excited and cameras and cell phones began clicking as we took off with the thrilling whir of the propeller above us. Each passenger was given a head-set of ear phones and microphone to communicate with the pilot. As we ascended quickly above the https://www.queenstownnz.co.nz/ The Remarkables, mountains which are the backdrop of the lovely city, we were so glad our trip actualized in the city of Queenstown because these knife-edged mountains from above appeared to have jabbed through the earth with a rugged rock surface at the back and beautiful lush vegetation on the side facing the city. To fly over these was our first treat. Soon we were over an enormous valley with a large river winding through it, so beautiful from above. 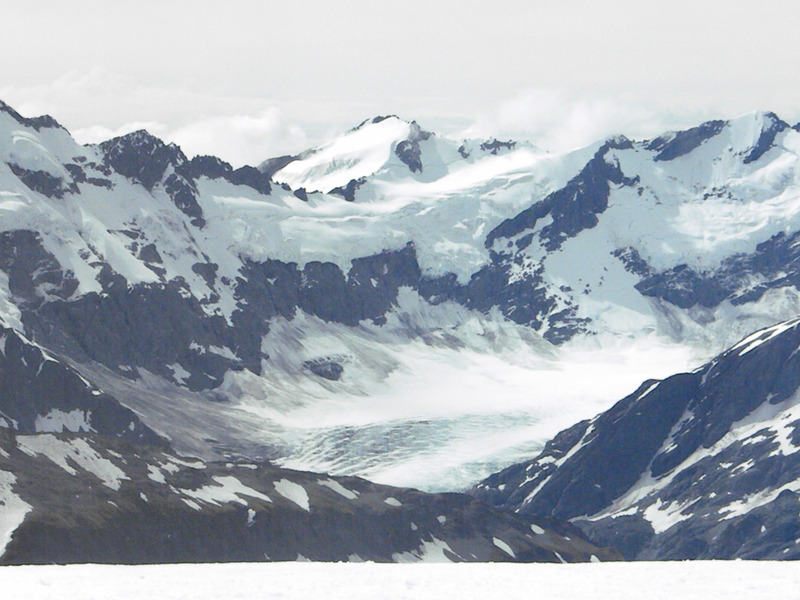 We flew over many mountains of the Southern Alps, each with a different landscape and of varying huge size. The scenery changed from green spring/summer lushness to jagged rocky cliffs, then snowy peaks, and then many glaciers appeared! In many of the highest crags and valleys of these enormously high peaks there were vast accumulations of snow which had never melted in centuries and had become compacted into glaciers…so many in one vast area within our 360 degree view. Peter and the other pilot landed one after the other on the glacier, which was larger than a football field and just as flat. As soon as the propeller stood still we were allowed to emerge onto the glacier to walk around and take pictures for 10 minutes. We had not known to expect soft new snow on the surface of the ancient frozen plateau of ice. We each stared in wonder, directing our video cameras in the complete circle of wondrous, indescribably pure beauty of pristine white’. We had sunny vividly blue sky all around us to the horizon at our feet, only interrupted by mountain peaks in various places. It was BEAUTIFUL!!!! For a few minutes no one could utter a word…Speechless was our true description as we gasped in joy at the simplicity of unspoiled nature. The time in this PEAK experience of our lives was over far too quickly and we piled reluctantly back into the helicopter and were lifted away between mountains with new scenery below. Because we were the second helicopter we could look at the other and see what ours looked like, a tiny speck by comparison to every enormous mountain top around and below us. Our return landing at the little heliport was smooth. We thanked Peter and The Helicopter Line of New Zealand for the most incredible experience of our lives, which went by far too quickly but will be at the front of our joyful memories for the rest of our lives. Summer down below in this beautiful country is approaching, so we urge you to make your reservations now and head there for a wonderful holiday. 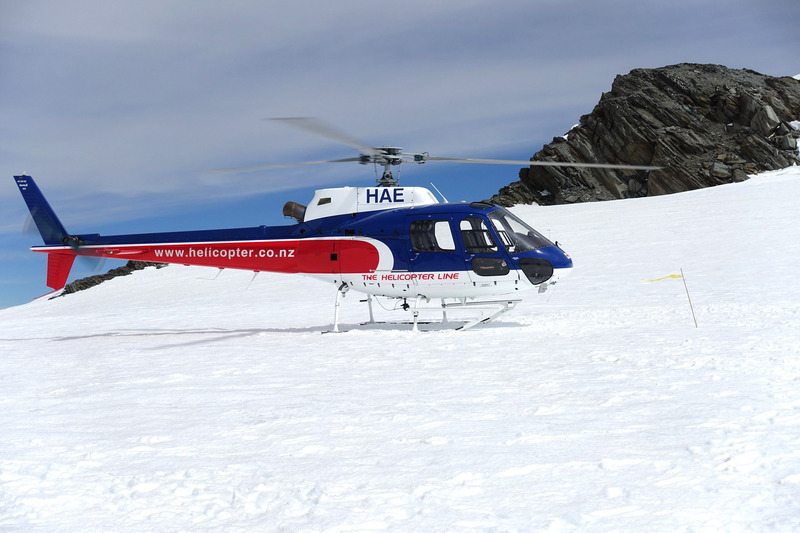 There are many other helicopter locations for this company to fly you to Mount Cook or Milford Sound and more.